A Seattle University student who allegedly talked about shooting up the campus is facing charges of felony harassment and threats to bomb or injure property. The university sent a public safety text around 1:38 p.m. on Friday, May 18. This is about the time that Seattle Police Officer Roxanne Zech was dispatched to Seattle U’s Bannon Building for a report of threats made about shooting students and teachers, according to a superform. The report came several hours after news broke that a student at Santa Fe High School in Texas had shot and killed several students and teachers; the final count was 10 dead and 13 wounded. A Seattle University student had reported to his professor that same morning that 21-year-old Bryson Morgan had talked about how it “would be easy to kill everyone” during a May 12 field trip, according to the police report. The student reported Morgan made similar statements on the morning of May 18. The student contacted his professor, and the “classroom self-evacuated due to Morgan’s statements,” according to the police report. 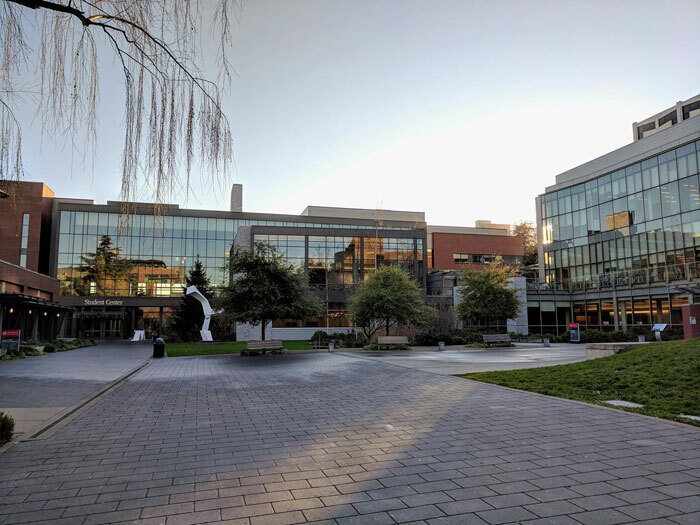 Campus security searched the building while Zech spoke with Seattle U security director Craig Birklid, but no one matching Morgan’s description was found, according to Zech’s report. “During the investigation, Birklid told officers that Morgan was experiencing recent mental health issues, but no history was located through police data to verify that information,” according to the report. Officers were able to eventually contact Morgan, who reported to the East Precinct building in Capitol Hill that night. Morgan was booked for felony harassment, and bond was set at $20,000 bond on Saturday, May 19. He was formally charged in King County Superior Court on Wednesday, May 23. He is set for arraignment on June 6. He is not allowed to have contact with the reporting student or to return to the Seattle University campus, should he be released. The advisory also noted that the student had been arrested for felony harassment, but details of the alleged concerning comments were not provided. Morgan’s mother said he has depression, ADHD, dyslexia and Asperger Syndrome, and that he’d recently stopped taking his medication and moved out of her home and into an apartment near campus, according to a probable cause affidavit by Seattle Police Detective Michelle Gallegos. The affidavit states Morgan bought a long rifle two years ago, but his mother said they took it away from him. It is reportedly in his father’s possession. “She stated he does have a tendency to rant when annoyed and she stated he sometimes does not understand the impact his words have on other(sic),” according to the probable cause affidavit.